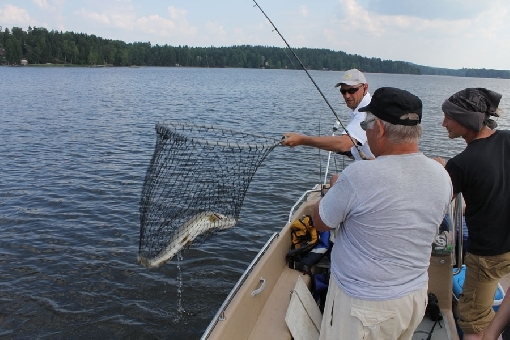 A pike caught in a landing net with help from fishing guide Peter Lahti. 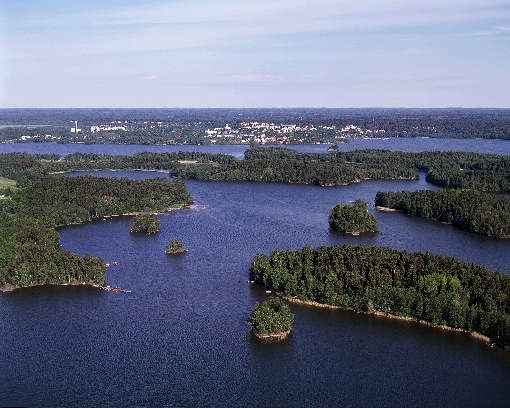 Lake Lohjanjärvi is the largest lake in the Uusimaa region, renowned for its zander. The lake is home to exceptionally diverse stocks of fish with more than 30 different species. The most common game species are zander, pike and perch. Pike are pursued with spinning or trolling lures, zander can be tricked with trolling lures or jigs, whereas jigs or a hook and line work for perch. 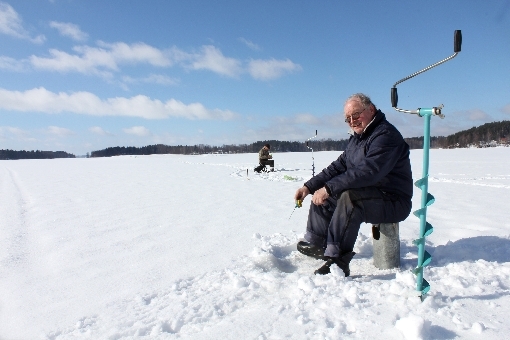 Plenty of fishing competitions are arranged out on the lake. 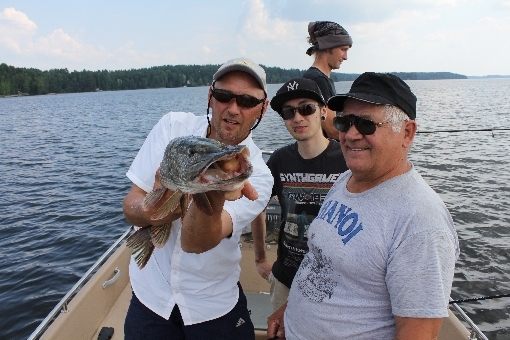 The largest zander caught in Lake Lohjanjärvi in 2010 was a whopper weighing more than 12 kilos. This beast was caught thanks to an uncommon approach: it was hit by a boat. The best season to catch zander is in the summer, whereas pike can be found all year round. 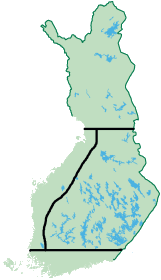 The surface area of Lake Lohjanjärvi is 122 km², of which 31 km² is covered by islands. Its depth ranges from shallow bays down to the deepest 55-metre spot in the Isoselkä mid-lake area. The water is rich in humus and therefore muddy from time to time. Water quality has been good in recent years and there is hardly any algae to be found. Lake Lohjanjärvi has plenty of recreational uses, such as holiday homes, residences and swimming beaches. A view over Lake Lohjanjärvi, with the town of Lohja in the background. A good place to launch your fishing boat is the boat launch ramp in Aurlahti Bay close to Lohja town centre. There is a concrete ramp, a temporary mooring jetty and adequate turning space to manoeuvre a boat trailer at the end of Liessaarenkatu street. You can access a digital service map of Lake Lohjanjärvi, showing depth contour lines and boat launch ramps, on the Internet at www.lohjanjarvikartta.fi (in Finnish). From time to time, the surface level of Lake Lohjanjärvi is considerably altered by water flow regulation measures, which means that you should only read the depth chart as an indicative reference. 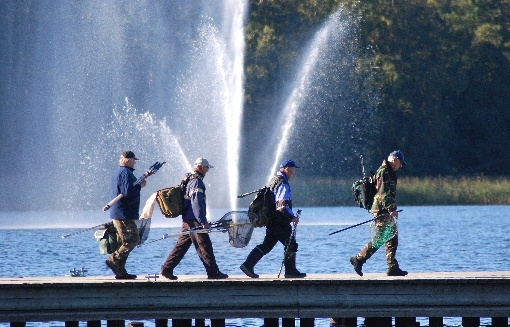 Anglers arriving at the shore of Aurlahti Bay. 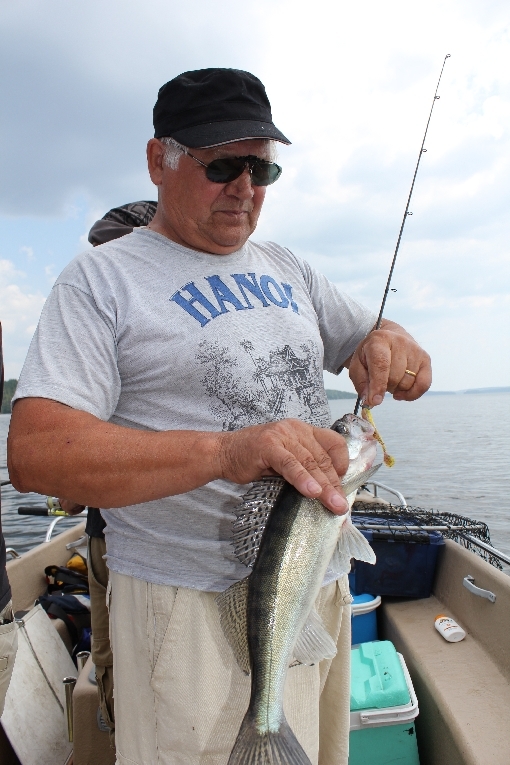 An easy way to get to know the fishing and landing sites of the lake is to use the services of fishing guides operating on the lake. Professional guides can provide you with any tackle that you may require for a fishing trip. Lake Lohjanjärvi is an ideal fishing site for families. In stronger winds, you would do well to avoid the Isoselkä mid-lake area, where waves may sometimes surge quite high. However, sheltered bays and coves can be found in practically any weather, so there is no need to skip a fishing trip due to weather conditions. In the summertime, a popular place among anglers looking for some refreshment – and one well worth seeing – is Restaurant Kaljaasi, floating on a pontoon platform in the middle of the Virkkalanselkä mid-lake area. A catch of zander from Lake Lohjanjärvi.